Been a while since you dived? Dive back in on a Refresher Dive. If it’s been 18 months or more since your last dive, we’ll get you, your skills and your knowledge ‘refreshed’ so that you’re safe, comfortable and confident in the water, and all set to enjoy one or two awesome, fun, beautiful and safe guided dives whilst you’re here. Just 3 hours – and you’ll be in the water for at least an hour. The rest of the time will be in the not-at-all-stuffy open air classroom, and re-learning about your dive equipment and important dive and safety skills. We’ll start with a review of scuba equipment and set-up, basic scuba skills and dive safety, and answer any questions or concerns you have. Then we’ll gear up and just walk across the road to The Dive Bus “swimming pool” – our shallow, protected, sandy bay, right off the beach. Here you’ll have the opportunity to get comfortable breathing and moving underwater again, as well as practice your basic scuba skills. Once you’re comfortable, it’s just a few fin kicks to the beautiful Dive Bus house reef for a beautiful open water dive, maximum depth 40ft / 12m. Can I brush up on my knowledge and skills in advance? Sure! Brush up on your knowledge and skills from your PADI Open Water Diver Course with the super-cool PADI eLearning ReActivate™ program , so you’re ready to dive right into your Curacao Dive Experience before even leaving home. 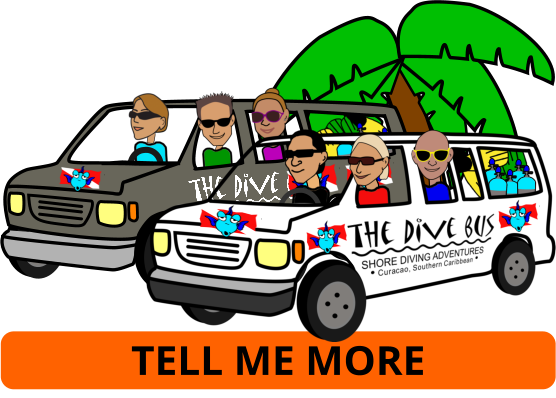 Everything you need, including all the training, dive equipment and, most importantly, an awesome, fun, beautiful and safe open water dive on the beautiful Dive Bus house reef. Can my non-certified friends & family do this with me? Can I do more diving after this? What if I can’t find my certification card? If you can’t find your cert card and are PADI certified, contact us. We should be able to find your details on the PADI database and order a replacement certification card or e-card for you (fee applies). 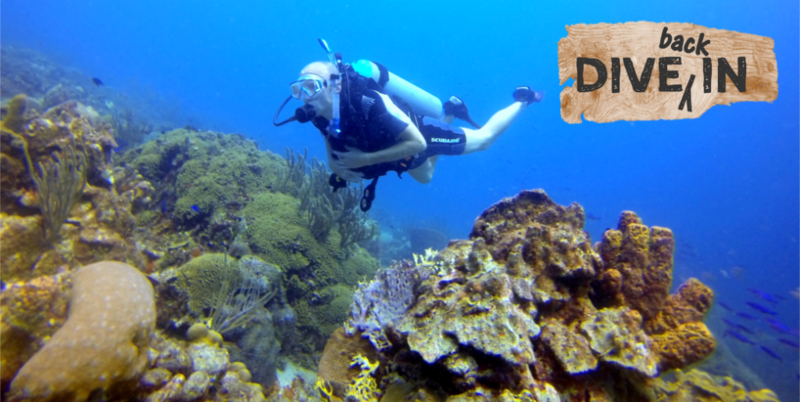 Or check out the PADI Discover Scuba Diving experience instead. This is a really similar class but designed for non-certified divers, so no certification card is needed.